This is an area that will publicize our businesses or creations either started by, created or led by our business members. 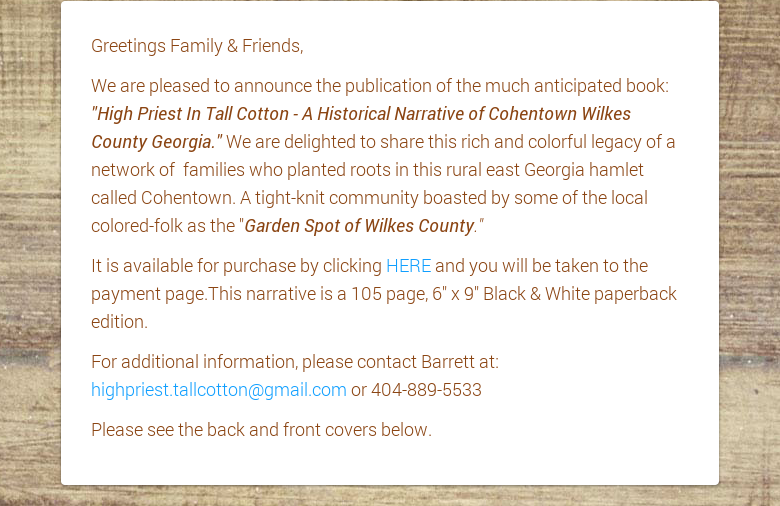 Barrett Hanson has a published a new book about Cohentown, in Wilkes County. Find out how to get your copy here! Angela has published As the Budda flows (Vol.1) You can purchase the book and read reviews located on Amazon in paperback or for your kindle.